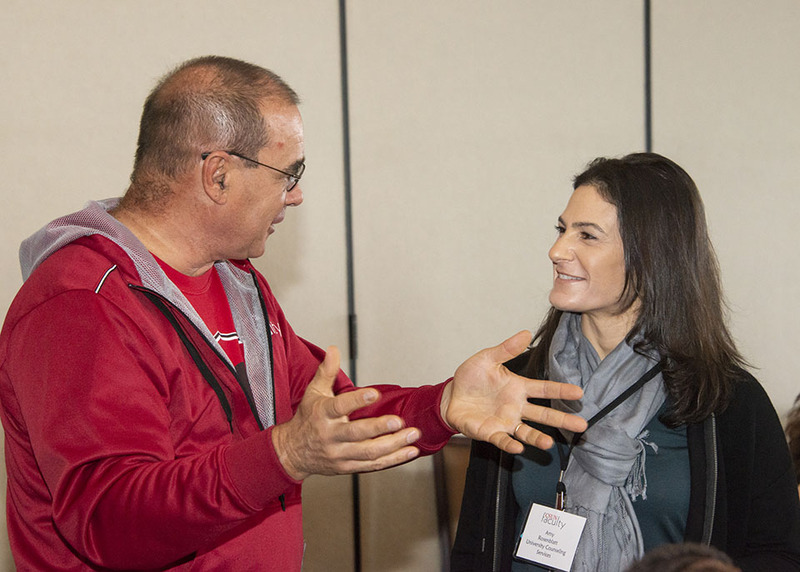 CSUN Mathematics professor Michael Neubauer and Amy Rosenblatt of University Counseling Services participate in a "getting to know you" icebreaker at the annual Faculty Retreat, on Jan. 15, 2019. Photo by David J. Hawkins. 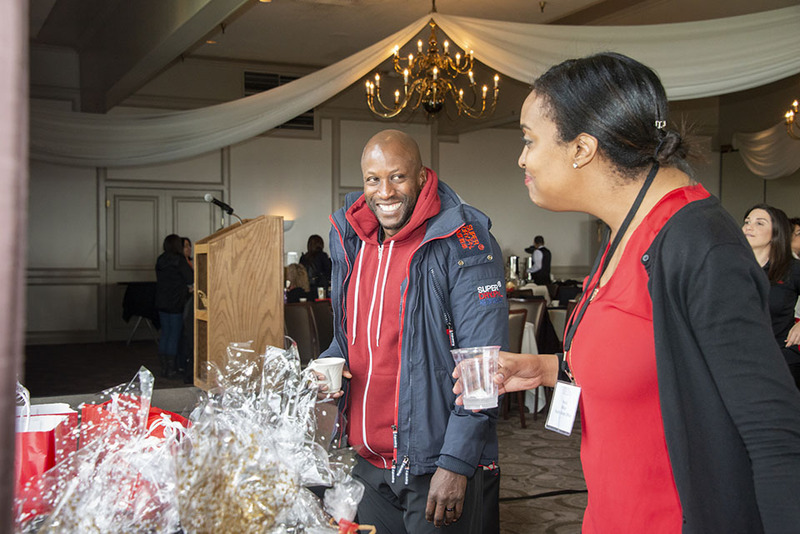 Yan Searcy, dean of the CSUN College of Social and Behavioral Sciences, and Nicole Wilson, retreat coordinator for the Faculty Senate Office, greet each other at the start of the annual Faculty Retreat, on Jan. 15, 2019. Photo by David J. Hawkins. 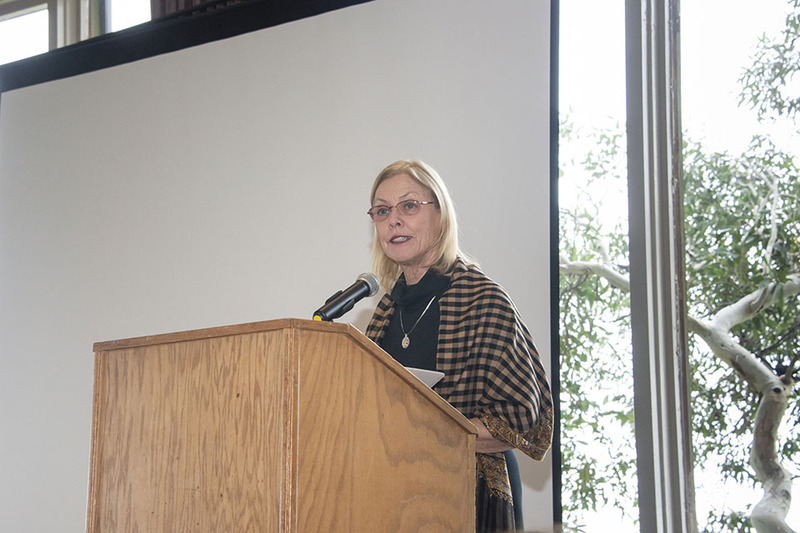 California State University, Northridge President Dianne F. Harrison welcomes faculty back for the spring 2019 semester and speaks about addressing the learning needs of Generation Z. Professors, deans and administrators from departments across campus met Jan. 15 for the annual Faculty Retreat at the Odyssey Restaurant in Granada Hills. Photo by David J. Hawkins. 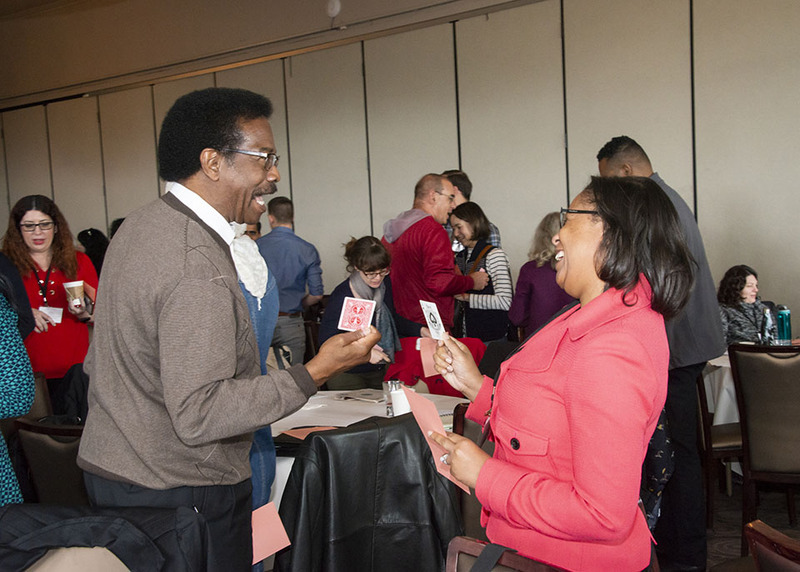 William Watkins, dean of students and vice president for Student Affairs, and Natalie Mason-Kinsey, chief diversity officer, participate in a "getting to know you" icebreaker at the annual Faculty Retreat, on Jan. 15, 2019. Photo by David J. Hawkins. 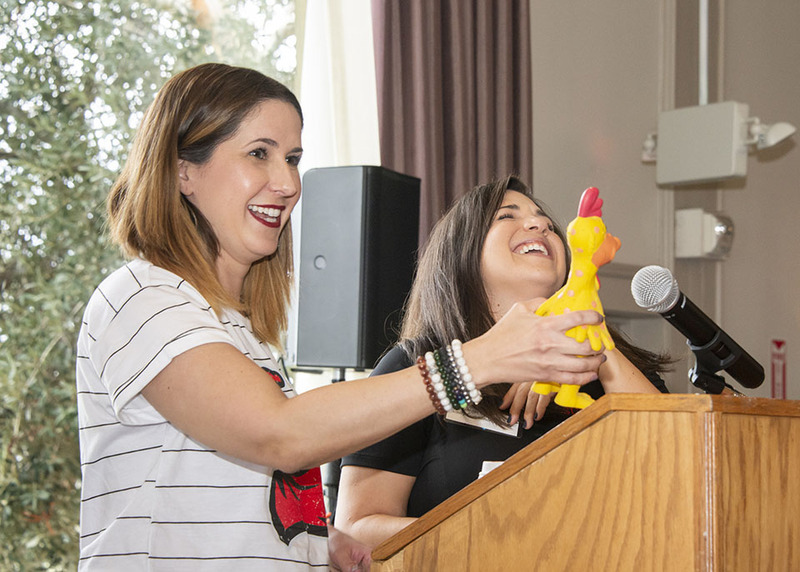 Faculty Retreat co-chairs Elizabeth Sussman and Roxanne Moschetti use a rubber chicken squeak toy to "signal" the end of one round of a "getting to know you" icebreaker for faculty, on Jan. 15, 2019. Photo by David J. Hawkins. 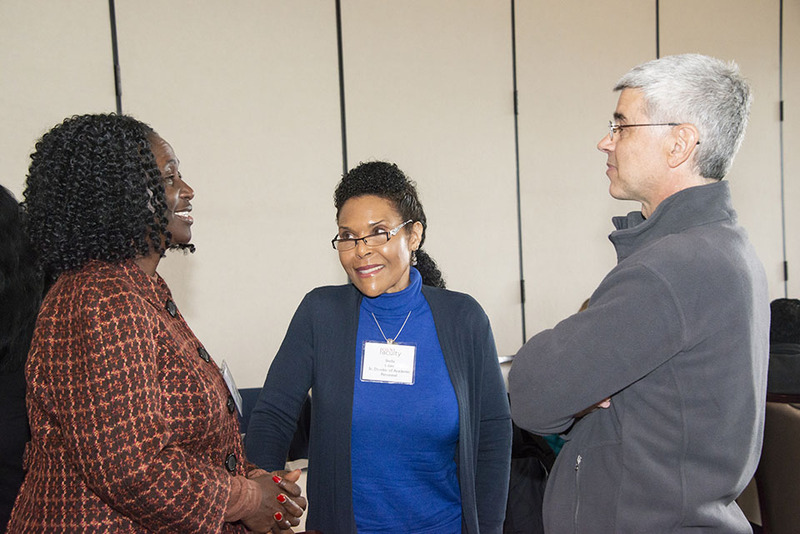 Sylvia Macauley, chair of the Department of Africana Studies; Sheila Grant, director of academic personnel; and Matt Cahn, interim vice provost, mingle at the annual Faculty Retreat, on Jan. 15, 2019. Photo by David J. Hawkins. 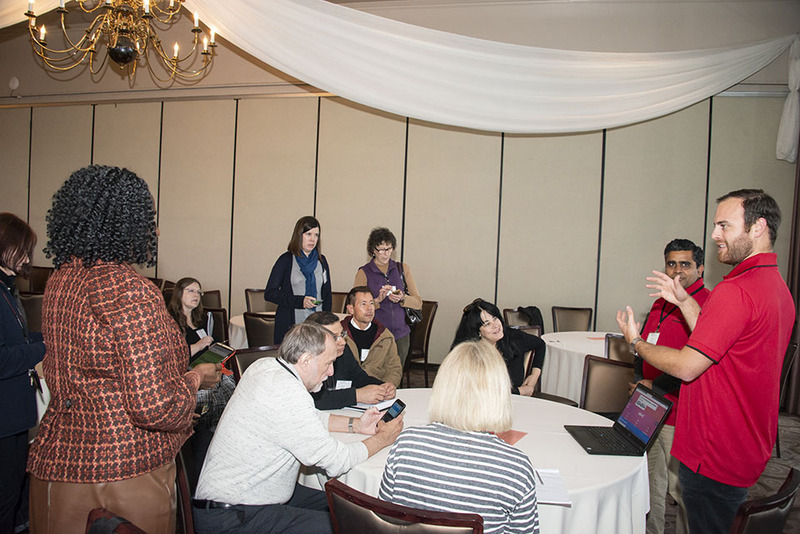 A member of the Active Learning Ambassadors, a group of faculty from a variety of CSUN departments and colleges, leads a session on "Teaching with Technology: Tools to build community," at the annual Faculty Retreat, on Jan. 15, 2019. Photo by David J. Hawkins. Matt Cahn, interim vice provost for Academic Affairs, speaks at the annual Faculty Retreat, on Jan. 15, 2019. Photo by David J. Hawkins. 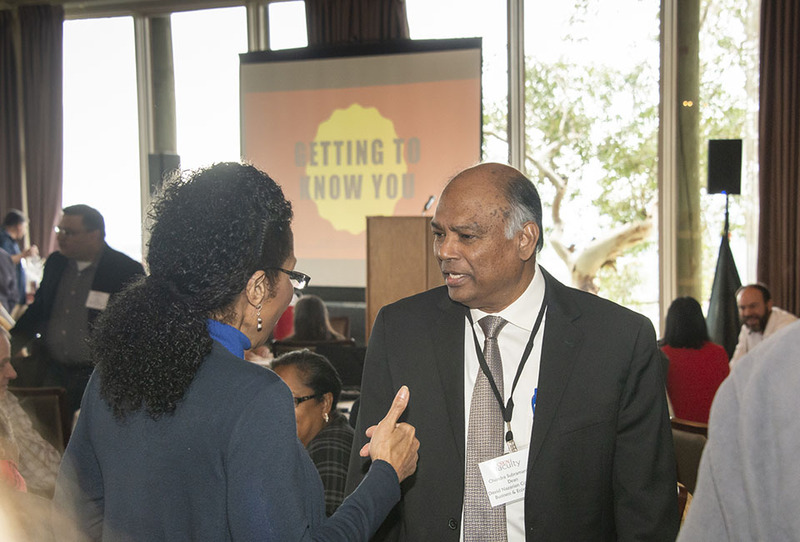 On a rainy, chilly January morning, hundreds of California State University, Northridge faculty and staff gathered to warm up for the spring semester, which began Tuesday, Jan. 22. 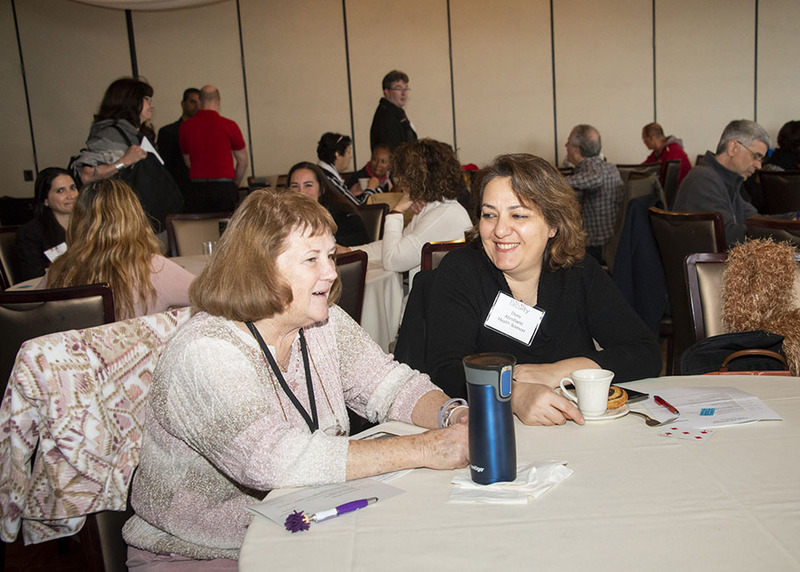 Professors, deans and administrators from departments across campus met one week prior for the annual Faculty Retreat, at the Odyssey Restaurant in Granada Hills. CSUN President Dianne F. Harrison, Vice President for Student Affairs and Dean of Students William Watkins, Interim Vice Provost Matt Cahn, and Vice President for Information Technology and Chief Information Officer Hilary Baker joined multiple deans and department chairs as they welcomed faculty back after the winter break. 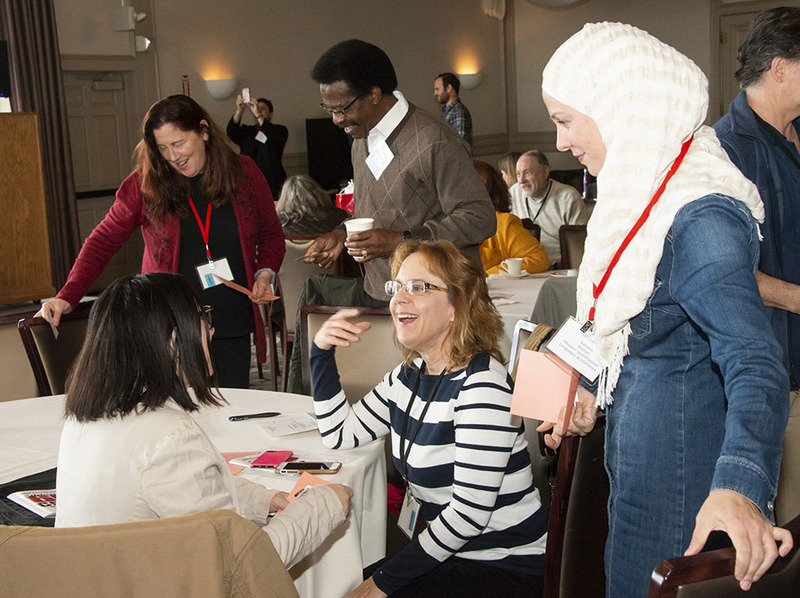 Professors, lecturers and staff met in sessions that covered work-life balance, harnessing new technology in the classroom, networking and a poster session on research projects. In her morning keynote address, “60 Years of Student Success: Supporting Today’s Students in a Changing World,” Harrison spoke about meeting the learning needs and challenges of Generation Z — the generation after millennials, defined as people born from the mid-1990s to the early 2000s and who make up 25 percent of the U.S. population. 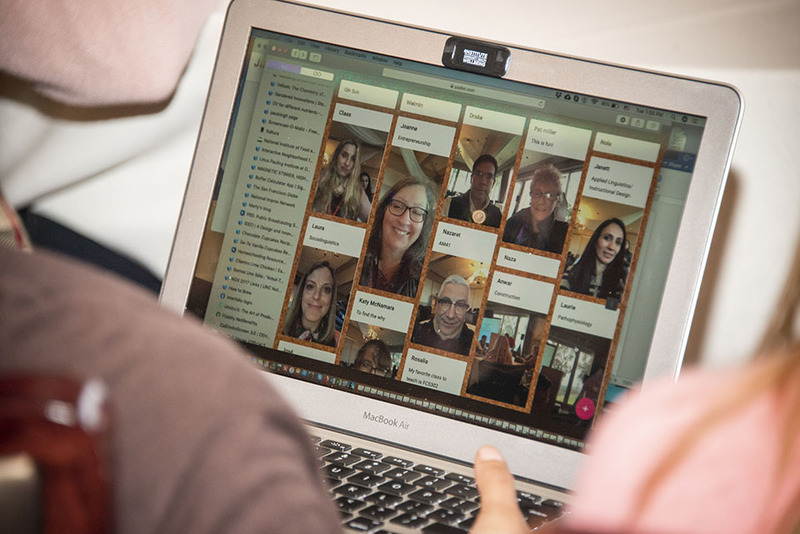 Educators can embrace technology as a powerful tool to personalize the classroom experience and still retain traditional methodologies, Harrison said. Despite the monumental changes happening in higher education — and society in general, CSUN always has focused on the needs of its students. 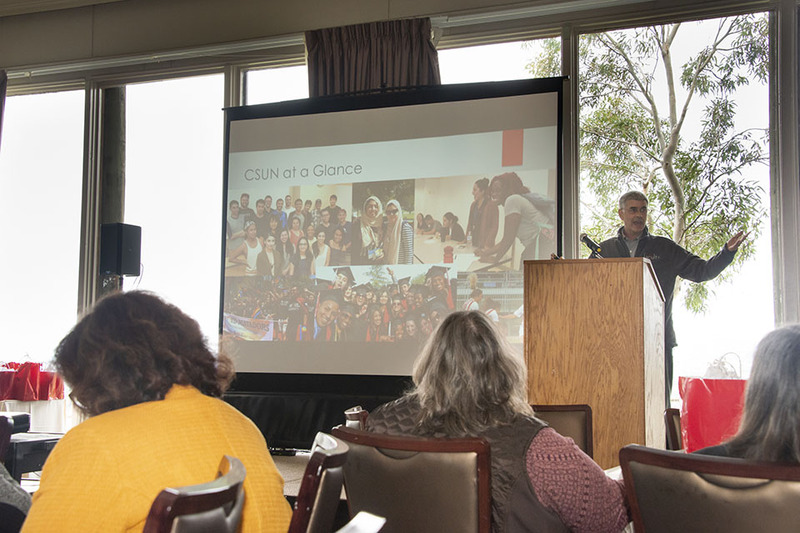 Later in the morning, Matt Cahn, interim vice provost for Academic Affairs, spoke about building on and accelerating CSUN’s equity, diversity and inclusion efforts. On campus and in other higher education environments, inclusion means engagement and involvement of all students, he noted. Successful inclusion at CSUN would net students who feel a sense of belonging, feel respected, welcome and comfortable expressing their opinions. It’s also important, Cahn said, for all faculty to include in their courses research and writings that include authors of diverse backgrounds, and respect and honor students’ learning and test-taking accommodations through CSUN’s Disability Resources and Educational Services (DRES). 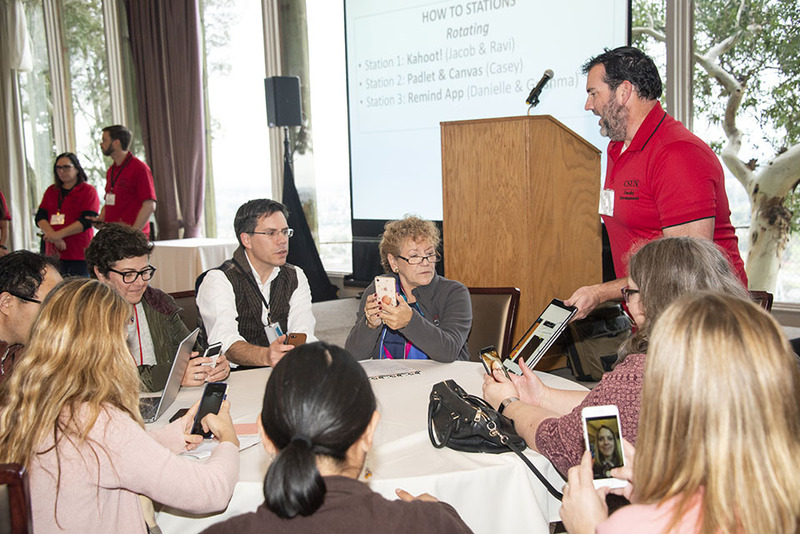 The retreat was sponsored by the Office of the President, Office of the Provost, and the California Faculty Association, CSUN Chapter. 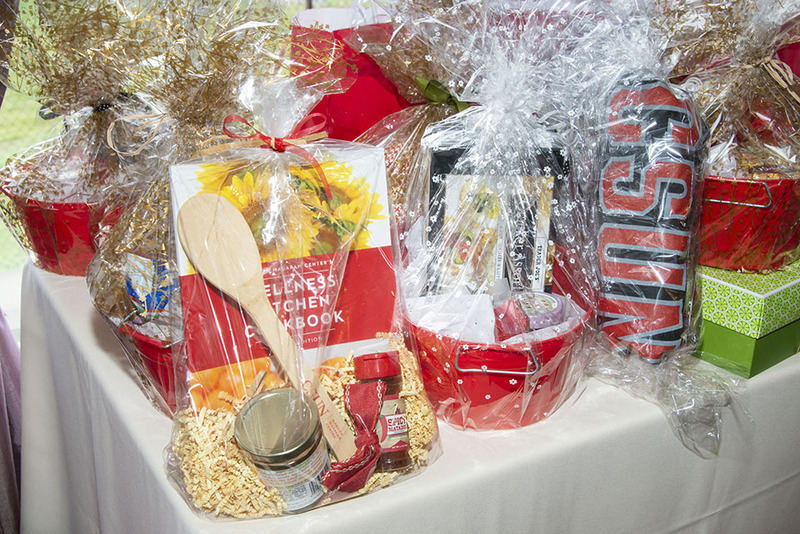 The program was planned by a committee of 14 faculty from across the university, chaired by Elizabeth Sussman and Roxanne Moschetti, and retreat coordinator Nicole Wilson of the Faculty Senate Office. 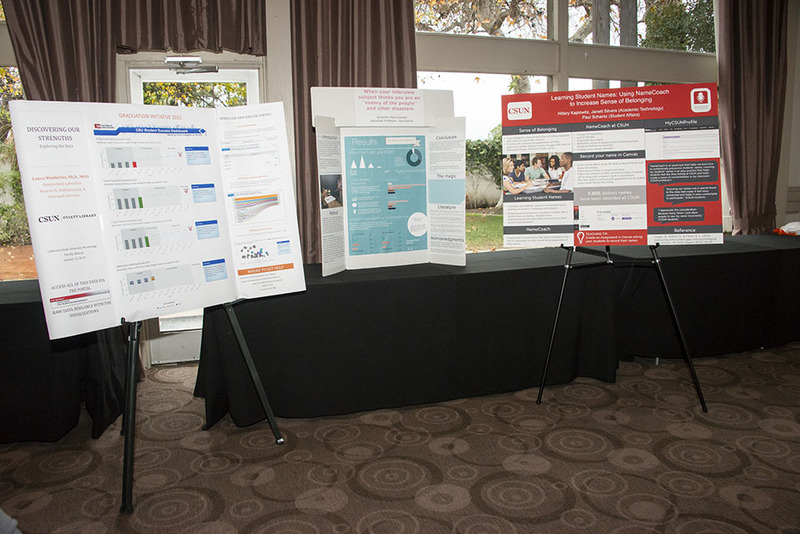 To read the full text of President Harrison’s keynote address, “60 Years of Student Success: Supporting Today’s Students in a Changing World,” please visit https://www.csun.edu/president/2019-faculty-retreat . 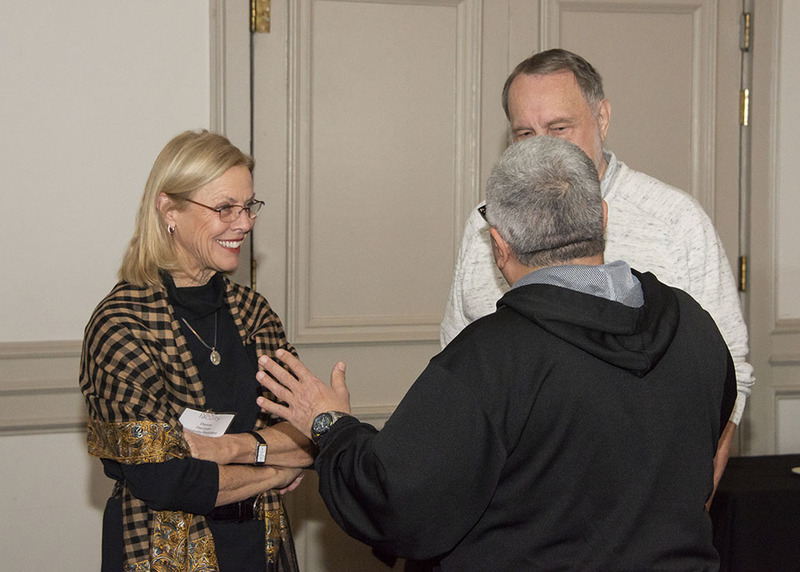 To learn more about the Faculty Senate, visit https://www.csun.edu/faculty-senate.